SautÃ©ing food is a cooking technique that allows you to brown ingredients while ensuring that it keeps the original texture, flavor and moisture. This saute pan helps you to execute this method properly. 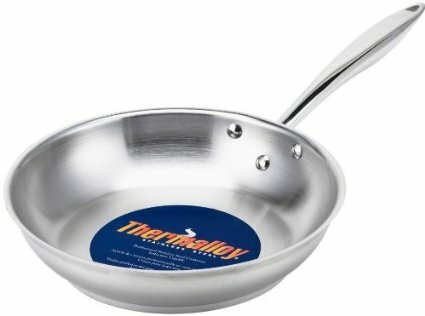 Constructed from stainless steel with a riveted handle, this frying pan is built with durability and longevity in mind. This pan can be used with all heat sources including gas, electric, ceramic, halogen and induction.